Early 2017 seems to be a season for revamping old things. Take for example, comeback of the popular Nokia 3310. What else, you may ask. Well, it’s our humble printed calendar. As a child, I remember turning over pages in the calendar to see pictures displayed on each month. In this digital age, smartphones and laptops have replaced many things. The list also includes printed calendars. How can you give printed calendars a digital twist? With a QR Code. This is exactly what the Tamil Nadu Department of Archaeology (TNDA) based in Chennai has done. The department has added QR Codes to their table calendars to provide better experience to users. At first, the calendar might look like any other table calendar. Each page displays images of monuments. But the pages hold more information than what meets the eye. Courtesy- the small QR Code printed below each of the six pictures. “When we scan the QR code using our smartphones, an app will display and it further leads to viewing the image in 360 degrees”. – Dr D Jagannathan, Commissioner (in-charge), TNDA. TNDA uses cloud computing technology to allow users access to the images in 360 degrees. 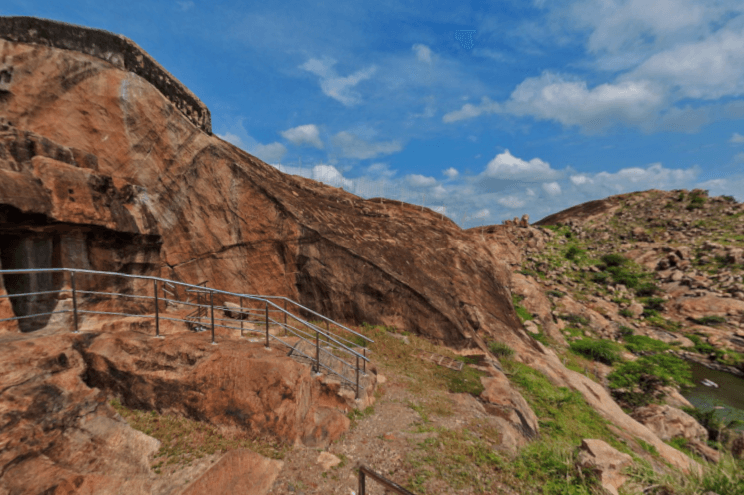 We at Scanova scanned the QR Code which led to this amazing 360 degree view of the Vettuvan Koil, a historical town located in Tamil Nadu. 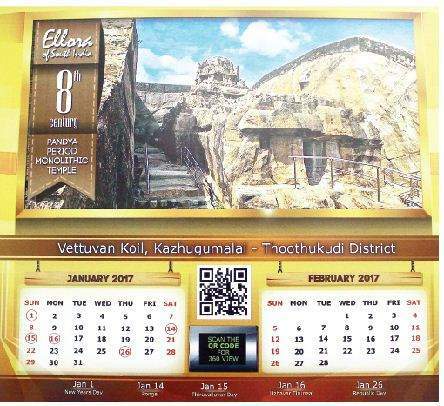 Currently, TNDA has printed a limited number of QR Code table calendars. The best part about adding QR Codes in calendars is that users can take a virtual tour of the past era with a single scan. But note that these are static QR Codes. It mans that content in them is permanent and cannot be edited. This is similar to a Product QR Code wherein detailed content can be shown via a QR Code printed on a small space on the product. What do you think of this unique table calendar? Share your thoughts in the comments section below.